Philips required marketing materials to showcase their latest mobile projector. They came to INDG looking to combine a live video shoot with our in-house CG production. Work began immediately creating a CG model of the projector including an exploded view animation, revealing the internal components of the projector before reassembling. The live shoot was short but sweet, all footage was captured in just one day even after some unexpected weather conditions changed our thinking on a few shots. Throughout filming tracking markers were used to allow the CG model of the projector could be accurately added after the shoot. 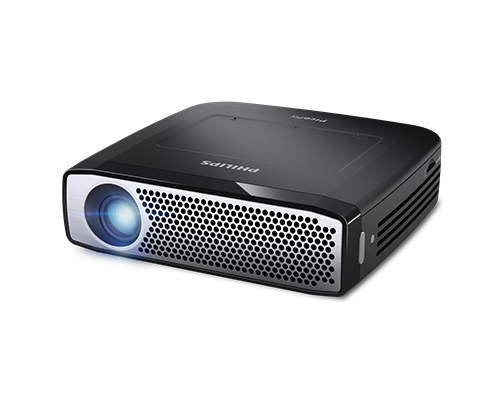 We supplied Philips with a product movie that combined live action with CG to support the launch of their latest PicoPix projector. The content was used both on the Philips website as well as third-party retailer sites to highlight the key benefits of the product. See the full video below.